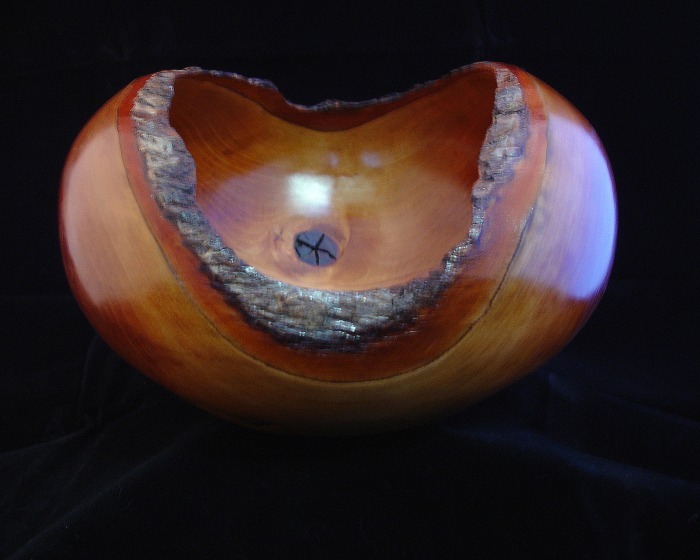 Welcome to my California Studio and wood-turned sculpture and functional art. I am passionate about reclaiming and re-expressing woods from the Sierra Nevada Mountains and the urban forest and farm woodlands of the Sacramento River Valley. The wood showcases natural embellishments such as voids, bark and branch inclusions, and the soft undulating texture that results as the cells dry and retreat. Design is fundamental to my process. Drawings, maquettes, and progressive refinement precede finished objects. An intriguing design element is "multi-axis" turning which offers great rewards and discoveries, especially when combined with traditional and familiar shapes.